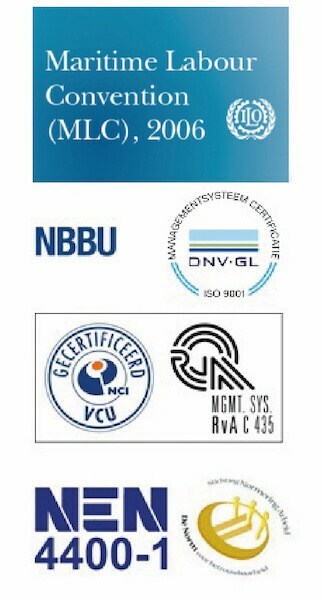 Last week Nautic Jobs BV, based in Sliedrecht The Netherlands and Nautic Jobs Cyprus Ltd in Nicosia Cyprus, achieved certification of their Quality Management System. The System is based at the ‘new standard’ ISO 9001:2015. Not only was the new ISO standard achieved, Nautic Jobs also successfully achieved a dual certification and implemented the Maritime Labour Convention for recruitment and placement agencies at the same time. Both audits were conducted by DNV GL. 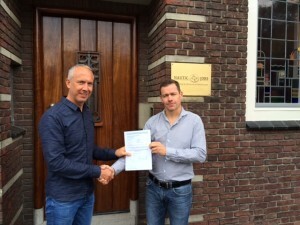 “The new standard is a benefit to our organisation and brings added value towards our clients” said Cor Volker, Managing Director of Nautic Jobs, Specialised Crewing Agent in the business of matching contractors and candidates in Dredging, Offshore & Wind Energy, Marine Construction and Maritime. The new Management System was achieved with the consultancy of QMS, which worked efficiently and professionally. “Working with the team of Nautic Jobs was a great pleasure, staff were highly motivated with a hands on approach to work, which lead the company to a certification period of three months” added Ger Quist, owner of QMS BV.